Things got off to a confused start as Hackney travelled to William Fitt. In his pre-match speech Duff took inspiration from his political heroine, Theresa May. “I understand fully that there are some who are unhappy with those compromises but this deal delivers what people voted for and it is in the national interest," he said. "If we do not move forward with that agreement, nobody can know for sure the consequences that will follow. It will be to take a path of deep and grave uncertainty when the British people just want us to get on with it. 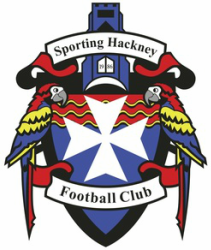 They are looking to Sporting Hackney to deliver." Bizarrely it seemed to do the trick. The Parrots flew out the traps and took the lead with less than 180 seconds on the clock. Steve Armstrong rolled the ball out to the defence and a couple of passes later it was at the feet of Harris, who was making his first start at left back. Harris played an exquisite long pass over the defence, Badu was in hot pursuit. William Fitt’s central defender came across to cover but the assist assassin dispossessed him before calmly rolling the ball across the box for Rory Page to tap in, taking his tally for the season to seven. The home team were visibly shocked by Hackney’s movement and accurate passing. Moments later another crisp move gave Sharpe possession wide left. He skipped past a challenge before unleashing a ferocious shot from 25 yards, to the relief of the keeper it crashed off the crossbar to safety. Such was Hackney’s dominance it felt like the game would surely be over by halftime. Jason Daniels was putting in a good shift for the second successive match. Jeff had a goal-bound effort was handled on the line. Double disappointment arrived when it became apparent the ref hadn’t seen the incident. With Sharpe and Greene in charge of the central midfield, Sporting continued to control the game but failed to convert their chances. William Fitt generally offered little in attack. There was a warning of things to come, however, when a long clearance beat the Hackney defence, fortunately the striker fluffed his lines. How the Chingford based outfit wished he had gone to the McQuade School of Finishing. On the stroke of half-time the evergreen Yellow applied a trademark side-footed finish to Page’s well weighted through ball. The half-time team talk had everyone searching for an Ordinance Survey map in a vain attempt to determine whether or not there was a hill in the vicinity. To William Fitt’s credit they started the second 45 with renewed vigour and their direct approach began to cause problems for the visiting Parrots. There was relief in the Hackney ranks when the linesman’s flag was tentatively lofted to (correctly) rule out a strike just five minutes into the half. Just as it appeared Hackney had weathered the storm an uncharacteristic error between the sticks gave the hosts the opportunity to halve the deficit with plenty of time left on the clock. There was concern that Sporting could let what had appeared to be certain victory slip away. Despite a few wobbly moments, including elder statesman Muir somehow nutmegging himself, there was little more that threatened either goal for the next 15 minutes or so. As usual, Duff felt he needed to pull someone off, which he did. After a few frantic minutes he then brought himself on to firm up the middle. Finally, Hackney started to regain a little controlled possession. Harris swung in a cross from deep, but with no yellow shirt in the box there appeared to be little danger. Inexplicably, however, the keeper came off his line and in beautiful slow motion Fitt’s captain looped a header into his own net. It went from bad to worse for the lad a few minutes later. Sharpe burst through the middle and was through on goal when he was brought down by the skipper leaving the ref with no alternative but to show the red card. Marlon got up, dusted himself down and prepared to take the resulting free-kick. Cleverly, rather than going for goal he chose to run down the clock by smashing the ball as high as possible into the tree behind the target. Despite being down to ten men, to their great credit, the home team continued to press. As they attacked down the left flank, Colvin won a crunching tackle and although he was 20 yards inside his own half there was only one thing on his mind. He set off like a man possessed. As defenders came to close him down, a smart one-two with Badu sent him racing into the clear. Keeping the coolest of heads as the on-rushing keeper bore down on him, he slotted the ball neatly into the near corner from the edge of the box. The remaining action was largely benign but before the referee brought an end to proceedings there was time for Duff to miss from close range after more good work down the left from Harris.